It doesn’t matter you are professional photo editor or a newbie, using the right photo background remover will help you add a lot of elements to your previously dull background – turning your pictures into masterpieces. If you are wondering that where to find user-friendly background eraser, how to edit and beautify your pictures then we have a galore of options for you. With this article, we are listing the top background remover programs for desktops (Windows and Mac), iOS devices, as well as Android devices to make your photo editing experience a pleasant one. If you are keen on editing your images using your computer and searching for the right tools to do so, then here is the list of photo background remover programs for Windows and Mac computers. Using photo editing tools on your computer allows you to have more accuracy and control over the tools, pushing you to deliver the best quality images. So, let’s go ahead and explore the wonderful features these software applications would add to your pictures and transform them. With a huge collection of photo background eraser programs in the internet, we bring the top 5 of that list to you. Be it in poor light or a cloudy scene, with Wondershare Fotophire, there is nothing to worry about your pictures anymore. 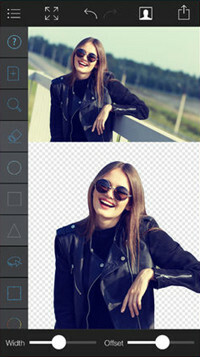 This wonderful tool not only balances the saturation on your image, adds frames, filters, or vignettes effects, or crops it, but also changes the background like a perfect background remover. With its specialized feature called Fotophire – Photo Cutter, it can creatively turn your world upside down. You can explore the varied range of tools found within Fotophire to automatically straighten your picture (Straight Line), use double exposure and bokeh features, apply overlays to iprove the texture and a lot more. With features like ‘Straight Line’ you can automatically straighten a picture by drawing a line, and also enhance the texture by using overlays such as bokeh, double exposure, etc. to add the extra effect to your pictures. You can easily save presets with the frequently used settings and apply whenever you need them. Apart from that you can darken or lighten the tones in your picture in a curved manner with the help of the tone curve. After editing the background of your photos, you can take advantage of Fotophire Slideshow Maker to make an excellent slideshow for sharing to social network or saving on your desktop. 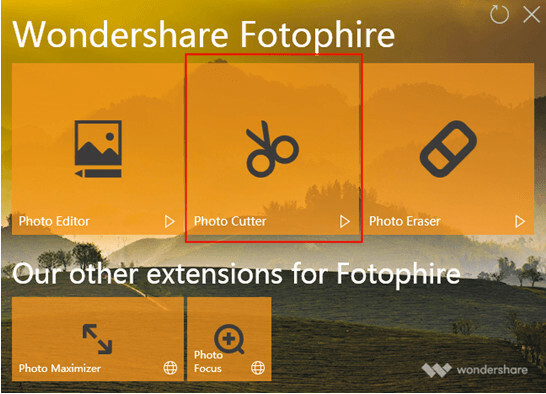 You can Get Wondershare Fotophire Editing Toolkit for Mac Here. 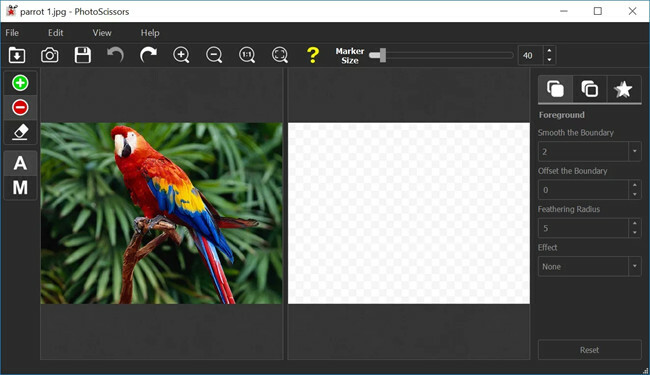 • Using the Photo Cutter feature of Fotophire, you can replace the background of a picture using your own images or preset templates, can automatically detects the edges of objects using automatic color detection, and makes the background transparent or erase it to fit a new one. • With 20 plus blend modes you have more control over the intensity of overlay effects. You can view 4 different before after styles – split view, side-by-side, vertical, and horizontal after you edit the pictures with FotoPhire. • Its batch photo processing feature helps you process multiple pictures at once. 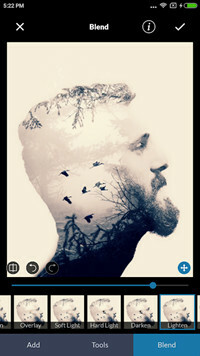 • Fotophire comprises of a vast library of overlays, filters along with 200 photo effects, and 100 frames, for transforming your images beautifully. • The intuitive drag and drop interface doesn’t need you to be a pro at editing. You can save the edited images in TIFF (8 or 1 bit), PNG, JPEG, JXR, BMP, and JIFF formats. 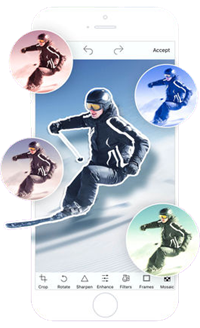 With these galore of photo editing options, Fotophire emerges as the most sought after photo background remover software for Windows PCs. This photo background remover allows you to easily remove background of any picture through foreground segmentation. It enables you to erase unwanted backgrounds and extract the subject from images and later use them to create desired photos. There is no file size limitation to edit a picture with PhotoScissors. 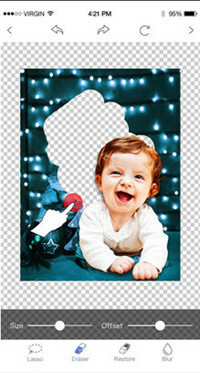 It allows you to mark the portion of the image to be kept and the portion to be removed, with the help of 2 brushes. • It can easily remove complicated backgrounds from photos. • Interactive interface to change backgrounds of images. • It is user-friendly and intuitive. • It doesn’t restrict the size of an image to be edited. • It helps you change the background to a desired color or swap it with another image. For professional photo editors and designers Photoshop is their first love. With a wide range of features it has gained enormous popularity for the professionals and works as a photo background remover too. Though, the features and benefits of Photoshop are class apart, you need to practice to get control over the tool to flawlessly edit an image. Detailed editing can be done using this tool. You can transform images to paintings, design illustrations to create attractive images. • You can make prints and animations out of 3D art work created with Photoshop. • Select subject feature to pick the subject easily. • It comes with intuitive tools and simple templates. • Changing the background of a picture will need a ‘Pen’ or ‘Quick Selection’ tool. • Advance brushes for smooth curves and lines. Photo Background Remover helps you easily cut any object from a picture and paste it to another one without any jagged edges. It is mostly preferred for editing product images while listing them online on various e-commerce sites. This background eraser program also uses a watermark feature to brand your images. With two modes of detecting the background area to be removed, this program allows you to pick the desired one. • It has a batch operation tool to process multiple pictures at one go. 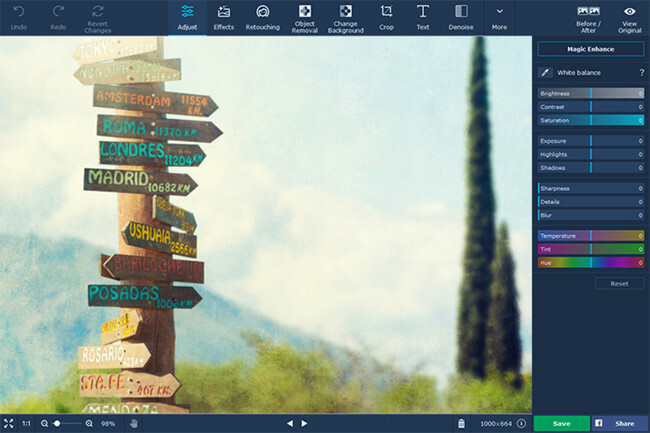 • You have the flexibility to move objects within a picture while creating a collage. • You can select between the red or green marked brushes to specify whether you want to remove or keep an object/portion of the picture or not. • Automatic background detection helps to remove the background easily. • It allows editing pictures with simple cut and paste process. 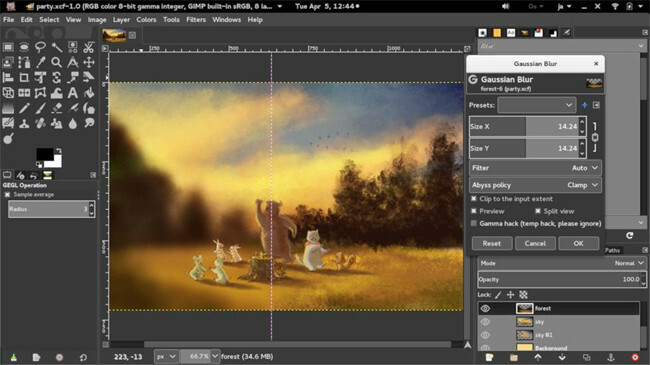 GIMP works as a background remover and cleans the background from any image. It comes with a customizable interface to suit your image editing requirements. Its various features help you enhance your photographs to meet your needs. • It comes with regular updates. • It comes with scripts and plugnins. 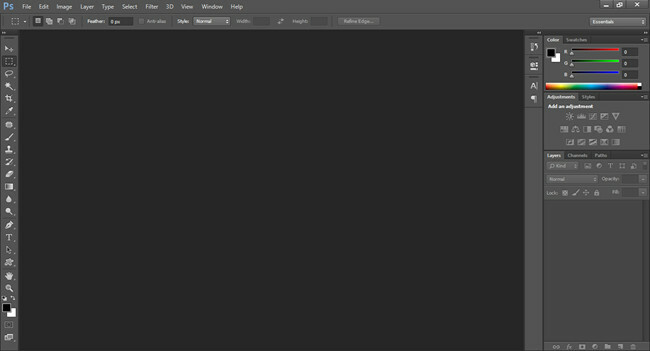 • It’s a less preferred photo editor due to a buggy environment that slows down the functionalities of GIMP. • It has digital retouching feature that erases unwanted details from the picture. • It helps you remove barrel distortion from your pictures. After going through the top Windows software applications, how about exploring the options for the Mac PC. Browse through them to figure out which suits your specific background removing purpose. The inbuilt feature ‘Preview’ in your Mac computer functions as a photo editor and can work as a background eraser too. Either you want to remove the background from a picture or extract the subject or any other part from a picture, ‘Preview’ can easily do that for you. It supports JPG, PDF, and PNG file formats only. 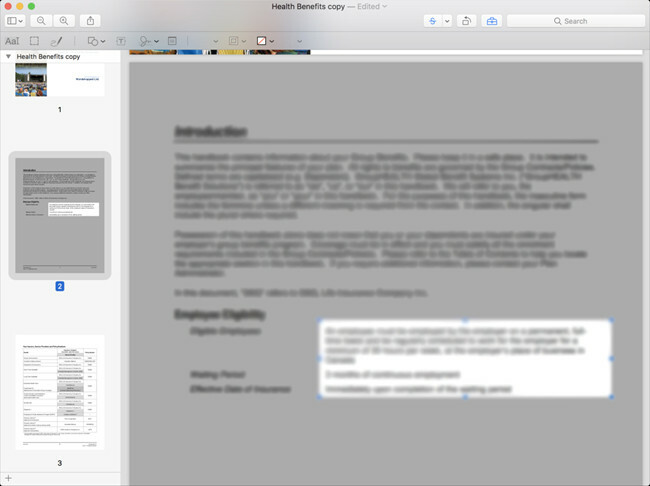 This document viewing feature of Mac also enables you with to mark-up and edit pictures and documents. • It erases the background at one go, when the color of the background is uniform. • You can view and edit documents and images using this feature. • Editing features like cropping documents, adding signatures, highlighting PDFs, and sharing them is possible with ‘Preview’. • The photo editing features are limited, compared to any other photo editor program. • The main constraint is it runs only on Mac systems, being its default feature. This background remover program for Mac allows you to add shapes and text to your images. You can create a photo collage using this software. You can touch up your pictures by using layers or create something afresh from scratch. It allows you to create a path using the shape tools and add text to it. It removes backgrounds from pictures through the instant alpha eraser tool or magic wand selection. • It comes with clone tools which are capable of cloning images, layers, along with group or shape layers. • It has a smart layer export with a customizable palette for exporting layers from a small size to a larger one. • You can create vector designs and logos with the help of the circle text or path text tool. • It has 25 plus non-destructive blending modes. • You can pan, zoom, scale, convert color profile, as well as remove or retain the metadata of any picture. This photo background remover program removes the background of your photos by extracting the main object by allowing you to mark what you want to keep and what to remove. 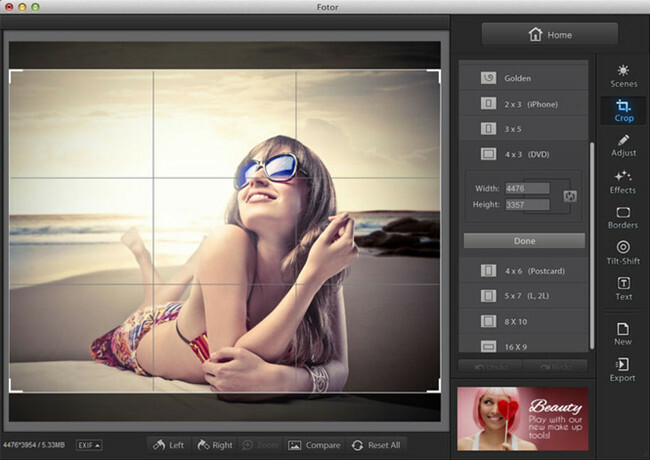 After creating a transparent background, make use of the design and editing features of Fotor for replacing the old one with a desired background. • It comes with various features such as photo effects including AI effects, lomo and cool effects, photo frames, resize, and crop pictures. • You can create photo collages using desired pictures and also do photo stitching. • Graphic designing got easy with its poster maker feature. • Better quality images with HDR photography and batch processing of multiple images. • Beauty retouching is for removing blemishes, red-eyes, photo reshaping etc. Movavi comes with a user-friendly interface having automatic quality improvements as well as smart selection option for remarkable photo editing experience. You can remove unwanted objects, use digital makeup, play with backgrounds, and use color-coded sliders to tweak parameters, as well as crop, straighten and flip the frames. The pictures can also be scaled down to a smaller size. • This tool can fix pictures by repairing cracks and tears, smoothing out wrinkles, and applies retro filters for an even look. • You can spice up the images using the auto-enhance tool or manually. • You can sharpen pictures taken with poor lighting and minimize digital noise for restoring the picture quality. • You can add texts, effects and watermarks to your pictures. 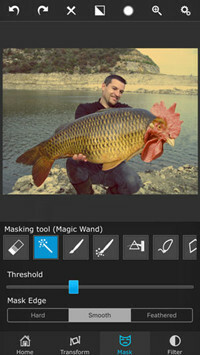 • You can transform the frames by cropping, resizing, flipping, levelling, or rotating the image. 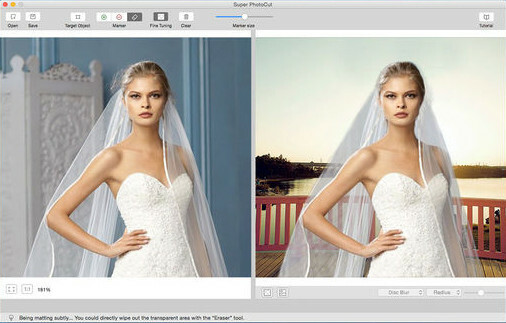 Super PhotoCut is a photo editing tool for Mac which can remove complex background from pictures. This interactive software neatly extracts the object in the foreground of a picture from its background and also makes the background transparent using various masking tools. • It supports the following file types – BMP, JPG, GIF, PNG, and Raw. • With a customizable brush size, you can edit better even while zooming in and out of the picture. • You can live preview the final image. • You can import any picture as a background, or create isolated images having transparent or colored background. • 20 background transition effects are available with this program. Now that the desktop programs to erase the photo background has been covered, let’s find out background remover apps for Android and iOS mobiles. First of all, we will go through the list of Android apps to remove the background from photos. 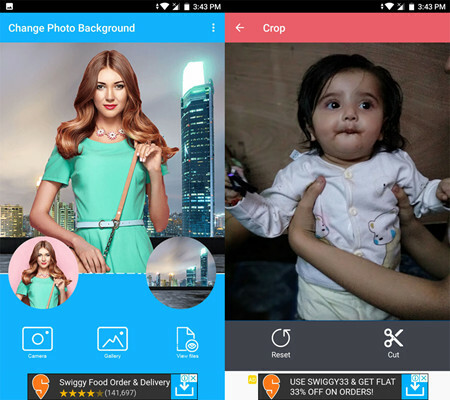 Using Change photo background app, you can change backgrounds, remove objects, and remove undesired parts of any pictures. You can either remove the picture or the background, or make the picture transparent by removing both. It can pick an image from your mobile photo gallery or instantly add from camera that you want to edit. • You can use the basic editing features, such as rotate, zoom in or out, move etc. • You can make your image background transparent and overlay with a new background. • You can always switch to the previous step while editing using the redo/undo or reset feature. • Sharpen, saturate, sepia, black and white etc. are few of the visual effects that you can use with this app. • It has 10 HD wallpapers within the app that you can use with your images. 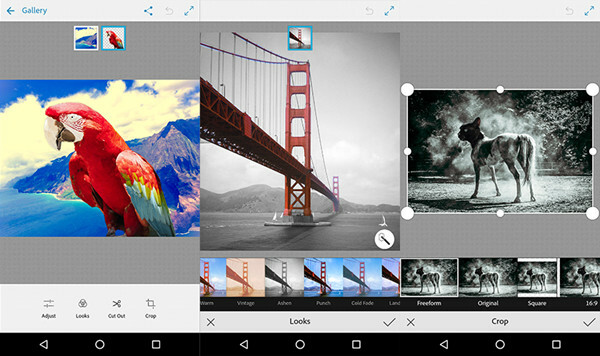 PicsArt is a widely popular Android app that you can use as a background remover for editing your pictures. Though, it’s a cool editing app, the process to change the background of a picture is longer than you assume, which may tire you. You can also make funny memes by adding texts to images. • There are 1000 plus options for stretching, cropping, creating cut-outs, cloning, adjusting curves, and adding text to your image. • You get to use numerous user-created backgrounds, frames, HDR and regular filters, borders, and callouts with your pictures. • Using the varied collection of effects, tools, drawing tools, the built-in camera, user-created stickers, and free clipart library photo editing seems entertaining. • This can work as a collage maker and photo editor and also a background remover app for you. 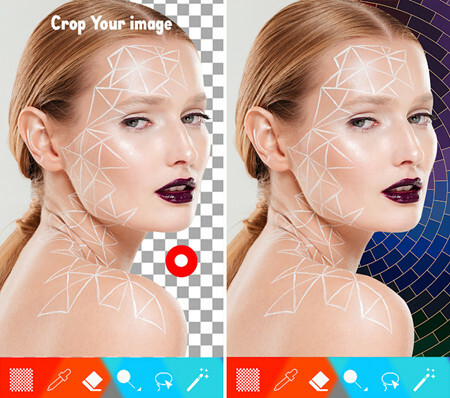 • Creating stunning pictures with artificial intelligence powered Prism-styled effects on your phone is possible with this app. 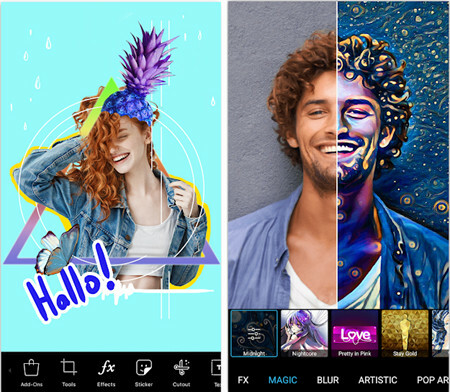 LightX Photo Editor & Photo Effects is a photo editing app for creating collages, adding stickers, frames, blurring pictures, capturing portrait photos and selfies, making caricatures and cartoons, as well as making cut-outs and changing the background of photos. You can also use the advanced tools, such as curves, color mixing, vignette, and levels for making brilliant photos. Add color splash effects, alter the hair color, add double and multiple exposures by merging photos, to edit your desired pictures. Use filters such as retro, vintage, drama, black and white, and grunge. • You can add texts to pictures for creating memes using this app. • Adjusting the contrast, brightness, hues, shadows and saturations of pictures is easy with this app. • You can cut out and superimpose it or mark with the lasso tool to change background of any picture. • You can use various doodle brushes to write over the images. • You can merge multiple pictures and blend them to create beautiful outcomes. Adobe Photoshop Mix is a wonderful tool that allows you to merge images after making cut out, change colors in order to improve the image. You can share these edited pictures on social media as well as on Photoshop CC on your computer. Adobe creative cloud is also a place where you can share this picture. • You can adjust the contrast and color or use the preset filters (FX Looks) and enhance the pictures. • It allows non-destructive editing to keep the original picture unaffected. • You can cut out portions of the image or merge multiple pictures. • Create surreal images by combining multiple images together. • You can sign up for an Adobe ID. Auto Background eraser + Changer app can replace your photo background with a new one by erasing it. The process is pretty simple. It requires you to import the pictures to the app from your pictures gallery and then edit and save. You can also share them on social media. • It is a user-friendly and simple app. • You can crop the images smoothly using refine edge and smooth edge features. • You can crop the pictures automatically as well as manually. • The picture can be auto restored with this app. • The pictures are shareable on social media. In case you have an iPhone and not an Android device, then we bring this section especially for you. Keep reading to know the amazing iOS apps to erase the background of your image. • You can pick identical colors automatically by tapping the ‘Target’ function while editing the picture. • The major cut-out tools of this app are – erase/restore, target area remove tool, reverse tool, etc. • There are different preset features to crop the pictures as you desire. • You can utilize the 9 adjust effects tools to control the brightness, contrast, smooth, saturation, exposure, highlights, shadows, temperature, vignette, etc. of the image. • You can also remove or change the backgrorund of the picture using the add background photo feature. Background Eraser – pic Editor can only remove the background of your picture and save its transparent version in PNG or JPG format. You can use the edited picture as a stamp along with other apps like PicsArt. • It can save your edited images in PNG or JPG format. • You can redo or undo the pictures while editing. • You can make use of advance erasing tools of this app, such as Target Color, Target Area, and Brush Tool. • It needs other apps like Papelook, Collage Creator, PicMix etc. Touch Retouch can create photomontages through a wide range of tools for high quality pictures. You can remove or change background of a photo using this app’s features namely – smooth, heal, liquefy, lighten etc. • You can blur a portion of your photograph as well as change or remove the background of the picture. • Highlighting colors inside a photo is possible with this tool. • Advanced controls for editing pictures along with 70 plus filters bring amazing results. • You can change the background and share the pictures on social media. • You can edit the hair, eye, or a specific object in the picture with this app. • You can even cut a portion of a picture and use it later as well as remove blemishes and pimples from a picture using this app. Cut & Paste Photo Blender is a background eraser app that can cut a portion of a picture and blend it with a new background. • This app is simple and user-friendly. • You can share the edited photographs on your social media or save them on your iPhone. • It comes with beautiful blend modes to transform your pictures. • You can have awesome backgrounds along with efficient photo editing tools. • You can pinch, erase, cut, and rotate your photos. Switch & Cut Me In – Photo Blur is a photo background remover app that can help you cut out people, and objects easily. You can create parody pictures, identification photos, and then save them in PNG format. It comes with a clear interface and numerous material options to edit your pictures. You can create pictures having backgrounds of different style, as well as use color pickers to select identical colors from the picture and utilize the cutout function effectively. • It has 200 Chinese fonts along with English. • More than 20 filters along with 7 automatic face beautifying filters, and 16 themes are available with this app. • You can the pictures in share on social media. • Plenty of stickers along with 18 effects are available for your photo editing needs. • 3D, Pop art, oil painting, cartoon, effects as well as inverse selection, feather expansion are few of the key features of this app. After going through the entire set of photo background eraser programs across platforms, we recommend Wondershare Fotophire as the most helpful photo background remover program. Its intuitive interface has bowled us over apart from the quick and easy to edit features. No matter what kind of picture you take, when you change the background using Fotophire, the sparks are sure to fly.